I might add more to this later and give updates in my comments, but I've been playing around with the MailPoet plugin for about a week now and I have good and not-so-good things to say about it. In all fairness, I still have some comments/e-mails to the MailPoet support team and I'm waiting to hear back from them on some of my concerns, but here's my initial review of the plugin. For those of you who have a WordPress website, you can find the plugin either by going to their plugin page on WordPress OR by going into the Plugins section on the admin side of your site and looking for “MailPoet”. Personally, I think it's easier to install it from there. Installation is pretty easy and follows most plugin installations. You find the plugin, click the install button and voila! The settings and the interface on the admin side are pretty self-explanatory and easy to use and they have enough help text on each of the settings to let you know what each setting will do and even some of the benefits. I think the subscription forms are attractive on the user side, but I was a little disappointed at the flexibility of the custom field options on the admin side. For instance, I wanted to make a field on my form asking people where they'd heard about me. I had two choices – create a multiple choice answer that only allowed the visitor to select ONE option OR create an open text field for them to fill in their own answer(s). Not crazy about either from an ease of use perspective. Multiple choice with only one answer option limits the user. What if they heard from me on Facebook, GoodReads and Twitter? I'd love to know about all of those. I was hoping for a way for someone to choose more than one option. The fill-in-the-blank option now makes the reader type more, which means they're more likely to skip the question. In all fairness, I COULD have inserted HTML coding for a multiple choice answer where users could choose more than one option…but there goes the ease of use. I HATE writing code and I know most people are not that savvy when using their WP site. I know code…I just use it as a last resort and I usually go kicking and screaming. If you have WooCommerce installed on your site (shopping cart), then you can also install the free plugin to have your customer information also be used for your mailing list AND they'll see the opt-in check box at check out: “Yes! 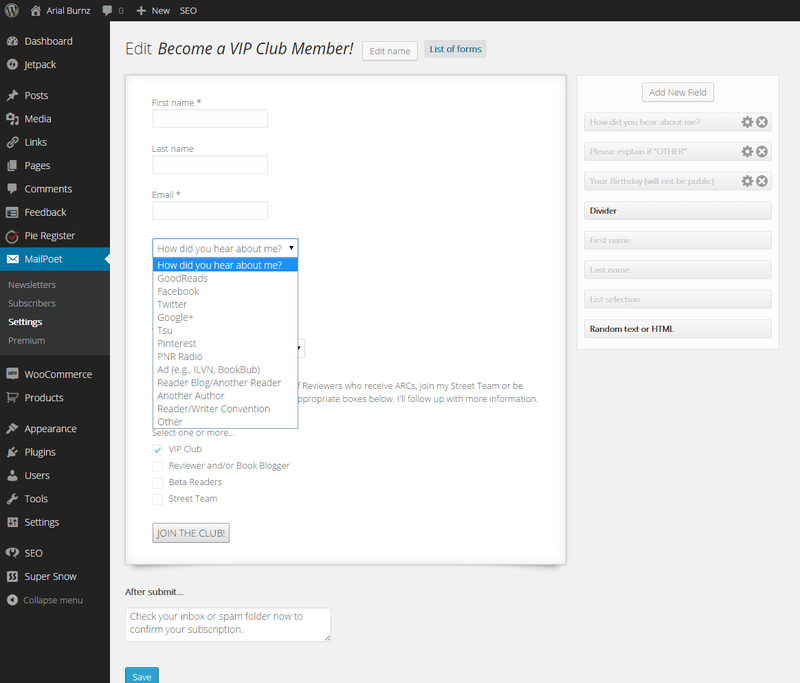 I want to be a VIP Club member for FREE!” or whatever text you want to put for your mailing list. I don't allow just anyone to register on my website to prevent most spam bot registrations, but if I did, the opt-in check box could be included on that, too. I loved the process to create a newsletter and it was really very easy to use. I was able to insert my own banner header for the newsletter, which I was already using on MailChimp and there are simple drag-and-drop features for the editor. I can edit the colors and even create my own theme…although the theme creation isn't very intuitive and even a bit confusing. There are two HUGE problems with this editing interface, however, and this is going to be the part that breaks the deal for me: I cannot put images next to each other, either in a row or stacked on top of each other. The newsletter editor allows you to put in “blocks” of content – either an image, a text area, or both image and text into a single block (see image below for the image and text illustration). The other thing I cannot do is insert HTML code snippets. I know above I said I hate code, but when someone else does the code for me, I don't mind using it. For example: I suggested in previous posts that you could fill your e-mail with free and 99 cent book deals from your author pals. 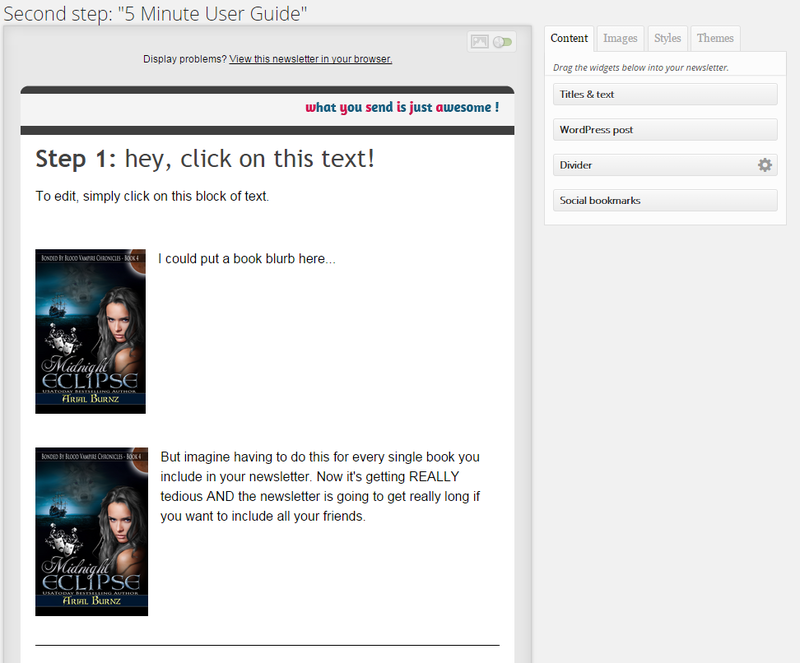 I just go to Amazon, have it generate the book cover with my affiliate link, then just copy and paste into my newsletter. I can't do that now. IF I wanted to include a book cover, I would have to download the cover to my computer, upload it through the “Add Images” button, insert the image into the block, and link the image to my affiliate link. Tedious…but then I either have this really big image, OR I could shrink the image…but then I'd have the book cover centered, all by itself in a section alone. I've put a note into support about the HTML snippet and stacking/lining up images. Waiting to hear back from them. When I do, I'll update my comments. Sorry…that looks silly. And if I try to drag another image to sit right next to it, it will try to replace the image already there. You COULD stack the images, like this picture, but now your newsletter into this huge, long, scrolling adventure on their device or in their inbox. Just like MailChimp, there is a 2000 member limit to your mailing list unless you upgrade to their premium version. Admittedly, it is a heck of a lot more affordable than MailChimp – €75 per year, which is about $81 based on the exchange rate today, for a single site user license. More if you want to include it on multiple sites. Not bad! The premium version lets you have more than 2000 subscribers and offers additional stats about the e-mails that go out, click rate, open rate, etc. There are SOME stats available in the free version. You can click on the newsletter name in your list and it should show you Top links and who it was sent to, also percentage of opens. It even lets you search the recipients if you list is long. Here's a link to the MailPoet Page that describes the features. This is another feature that isn't sitting well with me. I have over 1200 users on my mailing list and when I installed the plugin, it automatically put all my subscribers on my website into a mailing list called “WordPress Users”. This is good because if I start using this plugin, I can create a new list that filters all these new users into a new area, thus giving me more control over who will be getting the new stuff and who I have to transition over to the new system. The major problem I'm having with this is ALL my current users have now been assigned a “Subscribed On” date of March 25, 2015…which is the day I installed the plugin. That means any autoresponders I set up will all be triggered by that date. MANY of my users have been subscribers for over a year and they've already received their freebie e-mails. AND with this singular date, my whole 1200 users would get the autoresponder e-mails on the same day. Luckily, the plugin lets you limit how many e-mail can go out at once. The default was 70 per hour, so that's okay…but that's still a lot of e-mails going out all at once and it will continue every hour until it's gone through my whole list. I soooooo do not want this. There is no way to change this subscription date unless I go into the backend of my SQL database and MANUALLY change every single user to a different subscribe date based on their MailChimp subscribe date. What a PITA!!! Not to mention the average user would have NO idea how to so this for their WP website. 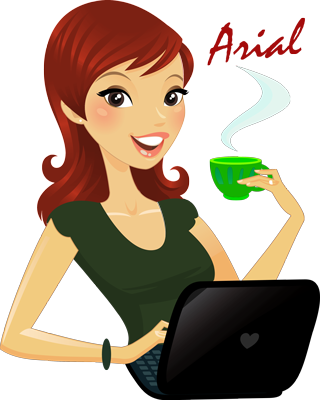 Additionally, I have about 300 users that are NOT on my website who enrolled in my VIP Club before I was able to implement my website. I would like to add them to my site…but I'll run into the same problem above, so I'm avoiding this right now. IF the above problems I've address aren't a big deal to you, then I would recommend the plugin. HOWEVER, keep in mind that if you have to import your mailing list or use the one already on your site, everyone is set back to Day 1 and all your autoresponders will be going out based on that day. This is GREAT if you have not yet implemented a freebie program like I've described in my “Mailing Lists” series. I really wanted to like this plugin. What I think works well is with their drag-and-drop blocks on the newsletter creator, it forces you to NOT use columns, which is what I use on MailChimp and more and more people are using their devices (e.g., smart phones, iPads, tablets, etc.) to read e-mail and visit sites. The more device-friendly we can make our content, the better off we'll be. However, that inability to stack or line up images or use HTML code snippets is a real drag and the work-around is just too much trouble for me. I do think the annual price of the premium plugin is worth the extra bells and whistles and it creates very professionally looking newsletters that are mobile device friendly. This plugin is great if you're starting from scratch on your mailing list OR if you have a mailing list and the subscription date doesn't matter. You can use it free for up to 2000 users and pay as your grow into it. If you're a super user like me OR if you have a mailing list you need to import where the subscription date is important, then this is not the plugin for you. Right now I'm looking into the plugin Tribulant Newsletters. It seems to have a lot of the features MailChimp has with tracking and bounces, themes and custom forms. I've played with the demo a little bit and so far I like what I see. Don't be so concerned with the front side. Login with username and password of “demo” and you can check out the admin features. 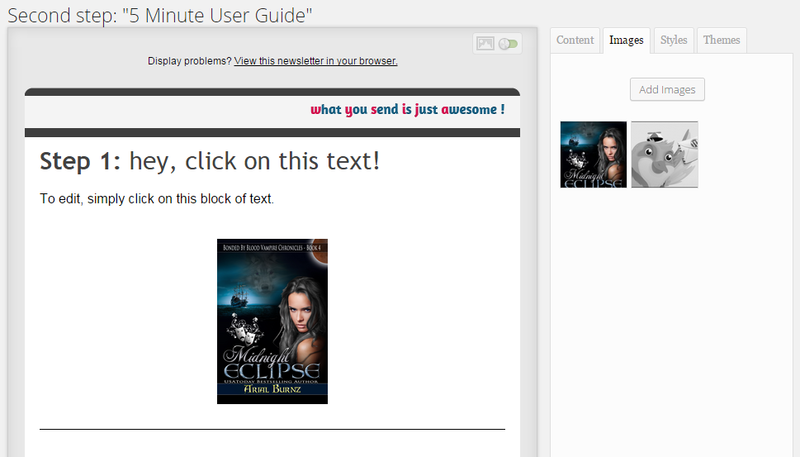 The BIG plus for me so far is they use the SAME editor you use for your WP posts and pages. That means I can still use HTML code snippets and stack images!!! Yay!! What I'm not certain about is how it handles the imports and autoresponders, so I'll have to play about with it a little more and write a report. Do you use a WP plugin to manage your mailing list? Which one is it and do you like it? I'd love to see your comments!